In 1506, Michelangelo--a young but already renowned sculptor--is invited by the sultan of Constantinople to design a bridge over the Golden Horn. The sultan has offered, alongside an enormous payment, the promise of immortality, since Leonardo da Vinci's design has been rejected: "You will surpass him in glory if you accept, for you will succeed where he has failed, and you will give the world a monument without equal." Michelangelo, after some hesitation, flees Rome and an irritated Pope Julius II--whose commission he leaves unfinished--and arrives in Constantinople for this truly epic project. 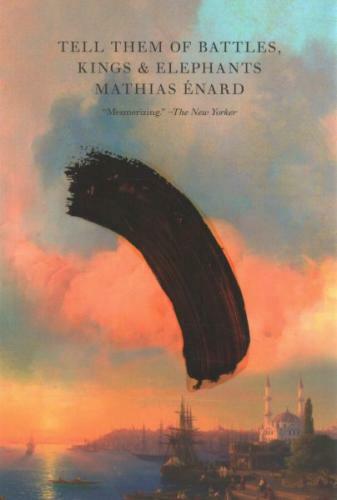 Once there, he explores the beauty and wonder of the Ottoman Empire, sketching and describing his impressions along the way, as he struggles to create what could be his greatest architectural masterwork. Tell Them of Battles, Kings, and Elephants--constructed from real historical fragments--is a thrilling page-turner about why stories are told, why bridges are built, and how seemingly unmatched fragments, seen from the opposite sides of civilization, can mirror one another.